Meteorites are stunning and diverse pieces of other worlds within our solar system. 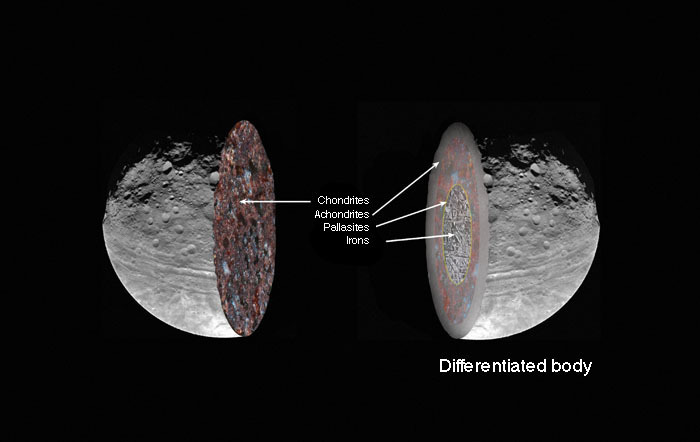 Some are leftovers from the formation of the planets, they contain the original chondrules that condensed right out of the protoplanetary disc. Some are stony – from an asteroid, planet, moon or comet. Some are pure metal – from the core of a differentiated and broken asteroid – and some are stony-irons with beautiful olivine crystals. Meteoritter kan deles ind i tre hoved-grupper; stenmeteoritter, jernmeteoritter og jern-stenmeteoritter. Der findes mange undergrupper indenfor disse tre hoved-grupper. Check out the available samples in the different categories. RØR VED ET STJERNESKUD – tjek de tilgængelige eksemplarer i de forskellige kategorier.